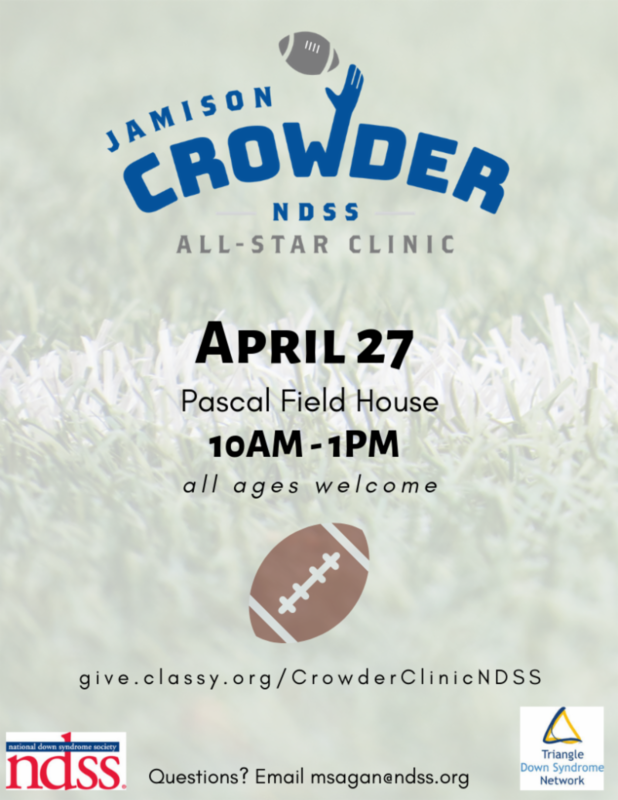 Join TDSN & NDSS for the First Annual Jamison Crowder NDSS All-Star Clinic! Individuals with disabilities and their families are invited to join us for an inclusive football clinic run by NFL wide receiver Jamison Crowder. Crowder is a Duke alum and was inspired to host the clinic because he has a brother with Down syndrome! Saturday, April 27th from 10:00 a.m.-1:00 p.m. at Pascal Field House on Duke's West Campus. Lunch will be provided to participants and photo/autograph sessions with NFL and Duke athletes will take place after the clinic. Registration is free and we encourage you to register soon! For many new and expectant parents, any opportunity to connect with other parents who have had similar experiences can be invaluable. Might you be that parent? Are you the parent of a child under the age of 8? Would you like to mentor a new family as they begin their journey? 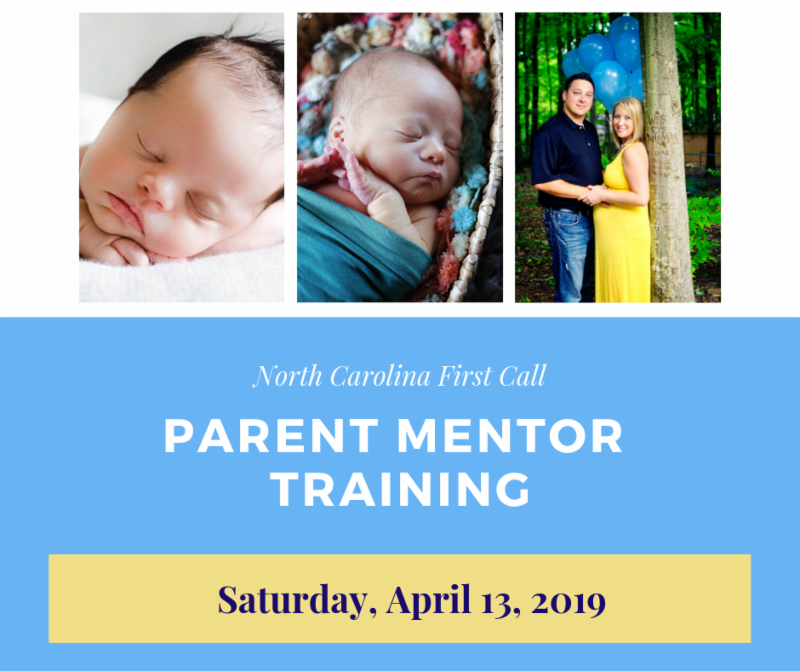 If so, please save Saturday, April 13th for the North Carolina First Call Parent Mentor Training. Join TDSN families for the annual picnic to celebrate TDSN's 21st anniversary. This year's picnic is a perfect opportunity to reconnect with many families you may have met along your journey, visit with old friends and make new ones, and see how our children have grown and matured. We are making this year's picnic a party with inflatables, face-painting, lawn games, karaoke, door prizes, hot dogs, hamburgers, beverages, and more. 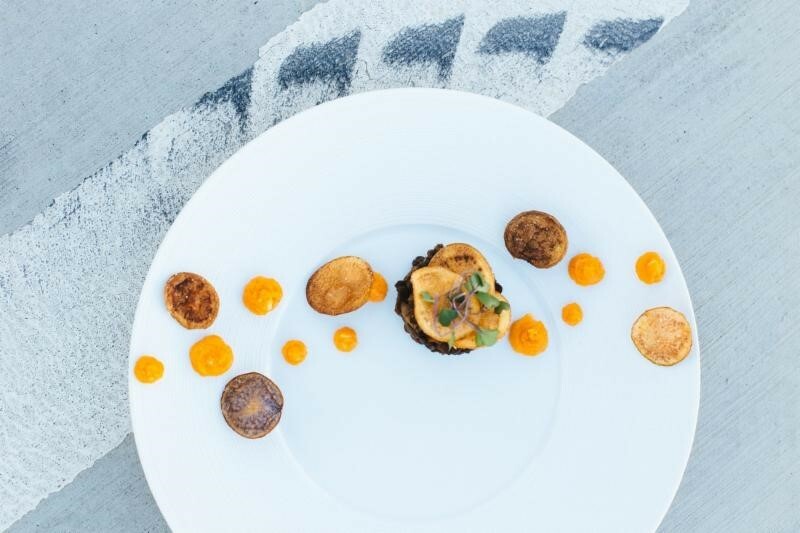 Wine and Dine with Us! 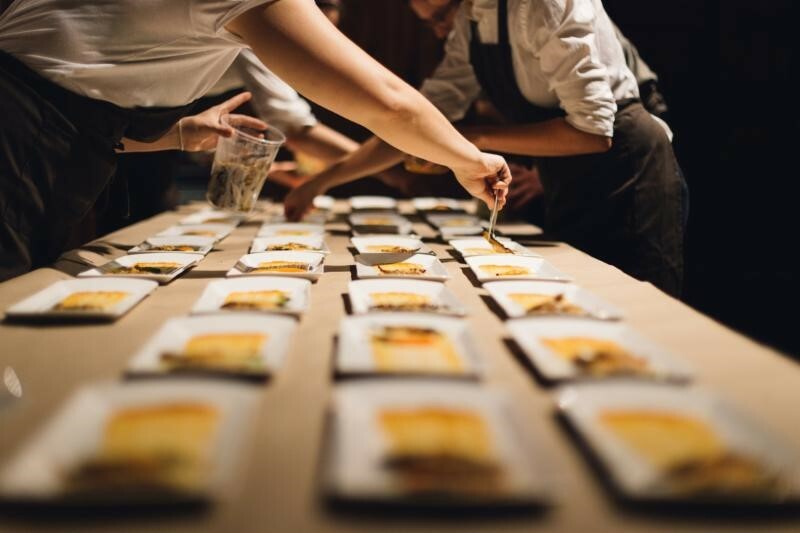 What is the menu going to be? IT'S A SECRET. 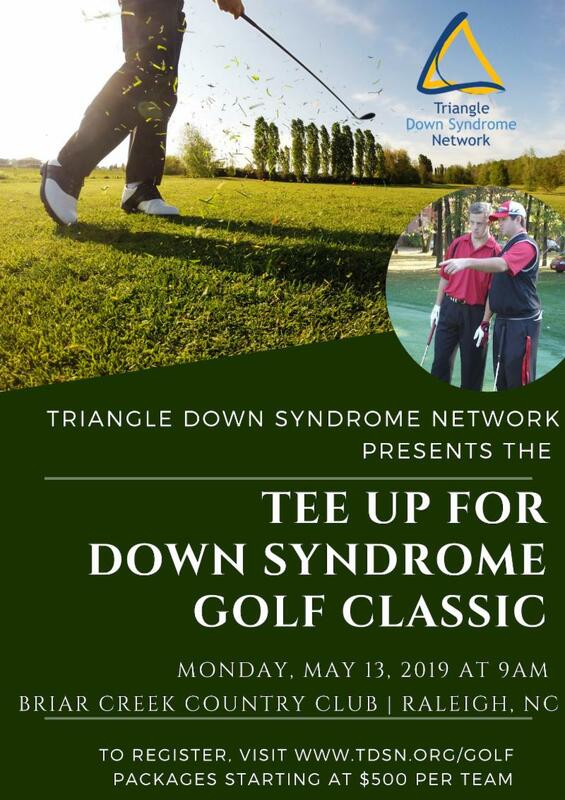 Net proceeds of this event benefit the Triangle Down Syndrome Network as Frankie Lemmon School's way of giving back to our community. The second annual TDSN Golf Classic is sure to be another exciting day on the links! The 18-hole championship designed course holds the Arnold Palmer guarantee. Foursomes and sponsorship opportunities are available. Contact Michael at development@tdsn.org. I Want to Play Golf! It is essential that TDSN continues with our mission of keeping healthcare professionals informed of best practices when delivering a diagnosis, current information on the quality of life for people with Down syndrome, and healthcare guidelines developed by the American Academy of Pediatrics specifically for individuals with Down syndrome. Our goal is to reach 250 medical providers and we need your help! We still have a few medical outreach packets left and can prepare more! Please add medical providers' information to our outreach list. Medical providers include anyone who may be in the position to deliver a diagnosis or provide care to an individual with Down syndrome. Volunteers are needed to deliver the packets to providers. Please RSVP for Moms Night Out so we know how many to expect. TDSN has something for everyone - Dads - Grandparents! Tuesday, April 9th 7:00 p.m.
Sunday, May 19th 2:00 p.m.- 4:00 p.m. The Family Support Program of the UNC School of Social Work has publicized a free resource guide of summer camps for families with children who have special needs. 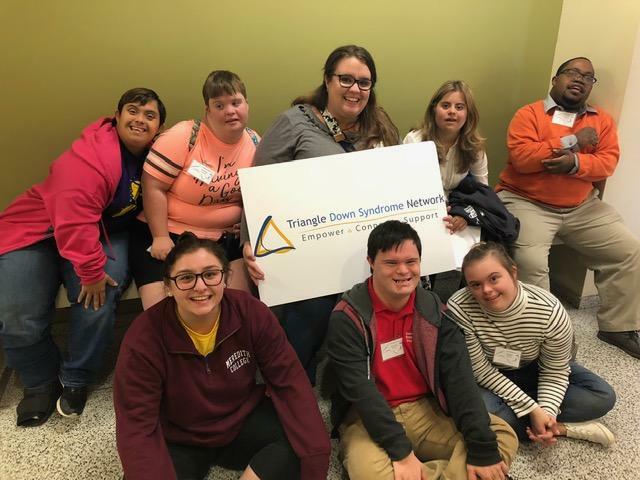 Interested in attending the 2019 NC Down Syndrome Conference for free? Want to have input on the topics covered in the breakout sessions? Do you know a potential sponsor or in-kind donor? To learn more or to get involved with the planning of the conference, contact Donna Beckmann at donna@tdsn.org. TDSN's mission is to empower, connect, and support parents of individuals with Down syndrome, their families, and the community. Your support helps us reach that goal.